The Ministry of Interior is the coordinator of the CY EMN NCP, composed of the Civil Registry & Migration Department, the Asylum Service and the Immigration Police Department of the Government of Cyprus. 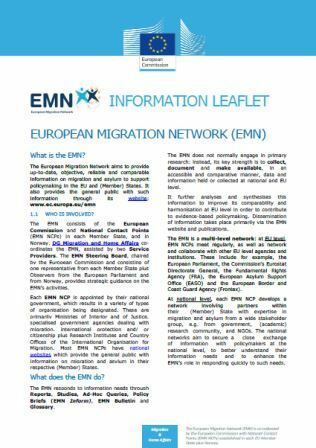 Download the EMN information leaflet for a general overview of the European Migration Network. Search for research-based publications of relevance to migration and asylum in Ireland. View Irish national research studies and policy reports relating to migration and asylum in Ireland. View summaries of relevant Irish and European case law or legislation. See latest statistics on migration, immigration, protection and return and employment and Census 2011.